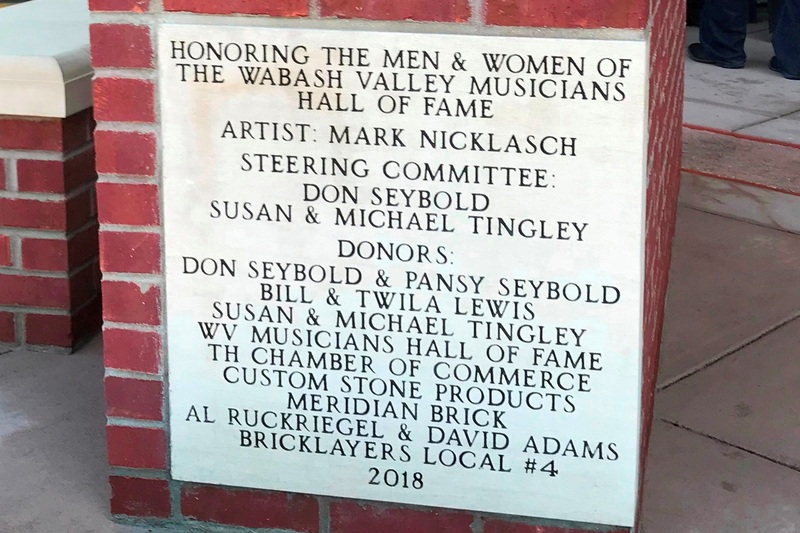 The Wabash Valley Musicians Hall of Fame is located in Terre Haute, Indiana, and covers the Indiana counties of Vigo, Clay, Sullivan, Vermillion, Parke, Greene, Putnam and Owen, and the Illinois counties of Clark, Edgar and Crawford. The mission of the Hall of Fame is to promote fellowship and friendship among all musicians of the Wabash Valley, recognize and award outstanding area musicians, and foster and maintain a meaningful relationship with the community. To this end the Hall will review, select and induct qualified musicians, plan and execute a yearly banquet for this purpose, and maintain records pertaining to the Hall of Fame. The Hall will also seek opportunities to become involved in the community in ways that promote our organization, our members, and live music in the Wabash Valley. The Hall welcomes musicians of all genres. We hope you will take time to browse this site and learn about the Hall of Fame and the many area musicians who are a part of it. 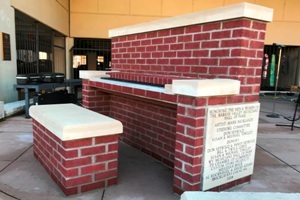 The Hall of Fame was recognized for its efforts in the community by the creation of a brick piano that was placed at the main entrance to the downtown Terre Haute parking garage at 6-1/2 Street and Wabash Avenue. The Hall of Fame and its members support organizations in the Wabash Valley. Most of our support is related to live music, in particular the band programs in our local schools, but we also support the local Children's Choirs, Symphony Orchestras, Concert Bands and more. We have also gone beyond the music to help many local organizations that serve the disadvantaged in the Wabash Valley. Collectively, our members donate their time and talents to hundreds of fund raisers every year. The Hall of Fame has been granted Tax Exempt Status by the IRS as a not-for-profit organization under Section 501(3)(c) of the code. Tax deductible contributions are welcomed to support our educational and charitable objectives. Open our Facebook page, click the Donate button and follow the instructions. If you would like to learn more about our involvement in the Wabash Valley, please click here. Be sure to visit our Facebook page, where you will find additional photos, movie clips, and other "goodies" that are not on our web site. Like us on Facebook to stay informed on all of the latest news concerning the Hall and community events that involve live music. You can go to Facebook and search for Wabash Valley Musicians Hall of Fame, or click here to visit our page. The 2019 Induction Ceremony pictures are coming! We apologize for the delay. The page has been created and we will add photos as soon as we can. We are always looking for qualified applicants, so send yours today. Visit the Induction Into The Hall Page for information and a link to the questionnaire, or click here to go directly to the questionnaire.